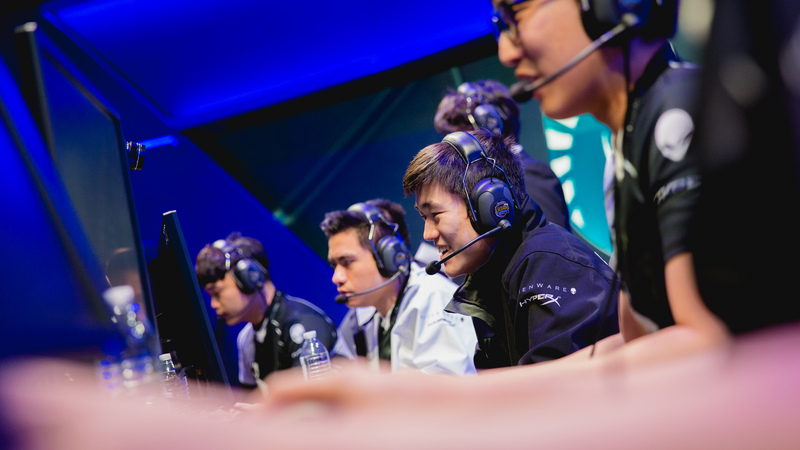 We saw an extensive set of tiebreakers between TSM, Liquid, C9, and Clutch Gaming. At the end of the regular season in the NA LCS today, we were left with a giant mess. Not only did the last week not answer the question of who was the best team in the region, but four teams were tied at 11-9 in the standings. All of that meant we were in for a long night of extensive tiebreakers. 100 Thieves continued their strong finish to the split by shutting down Echo Fox for first place. That’s when the fun started. Cloud9, Clutch Gaming, Team Liquid, and TSM basically played a mini round-robin. And when the dust settled, TSM stood on top, barely, to claim third place in the playoffs. Behind them are Liquid, C9, and Clutch Gaming in that order. Team Liquid started the tiebreakers by beating Cloud9. C9 seriously stumbled at the end of the split, and one of their biggest issues has continued to be synergy with jungler Dennis “Svenskeren” Johnsen. When Svenskeren pops off, they look great, but when he and the team make questionable decisions, nothing can save them. Mistakes were made against Liquid. An early kill for mid laner Nicolaj Jensen should have made the game easier, but Svenskeren was unable to press the advantage. That gave Liquid time to climb back behind Yiliang “Doublelift” Peng’s Jhin. His insane snipes, combined with Svenskeren’s reluctance to jump on Zac and C9’s overall abysmal macro play, led to Liquid’s victory. The clown fiestas continued in the second game between TSM and Clutch. Not wanting to show that Cloud9 are alone in the bad macro department, Clutch took a splitpush team composition and just gave up the side lanes. They lost the map and lost the game. Those two games set up TSM and Liquid for a third-place duel. Lately, Liquid have used smart cross-map play to pick up free objectives. 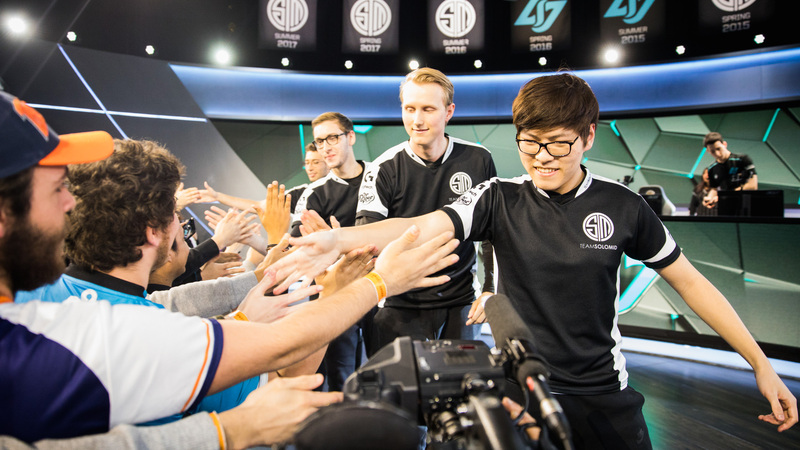 TSM’s response was to group as a team around Søren “Bjergsen” Bjerg’s Orianna. Bjergsen had a rough start to the split as TSM struggled with chemistry, but the man has been on fire these last few weeks. Against Liquid, he achieved a perfect 4/0/4 scoreline by 25 minutes and stomped the game. TSM rode Bjergsen to third and continued the longstanding NA LCS meme of Liquid getting fourth place. But wait, we weren’t done quite yet. Anyone who has gamed late into the night knows that as the hours go by, things can get a little freaky. With two teams left in Cloud9 and Clutch Gaming, who are already prone to bad plays and impotent macro, we were in for something special. We certainly got it. For the second straight game, Jensen outplayed a gank in the mid lane and jumped out to a huge advantage. And once again, his jungler threatened to throw it all away. Somehow, a team with Zac, Galio, and Camille refused to dive or make proactive plays to accelerate the tempo. Again—and it cannot be stressed enough—they had a Zac. Only when Clutch missed on their engages did Cloud9 feel the need to go all-in. To the surprise of nobody, those fights went in C9’s favor. They even found a way to push in the side lanes and set up for Baron, a level of macro we’ve been missing from Cloud9 recently. With the Baron buff, Cloud9 finally figured out that they have three champions to dive turrets with. The game mercifully ended when Svenskeren finally found the “go” button. 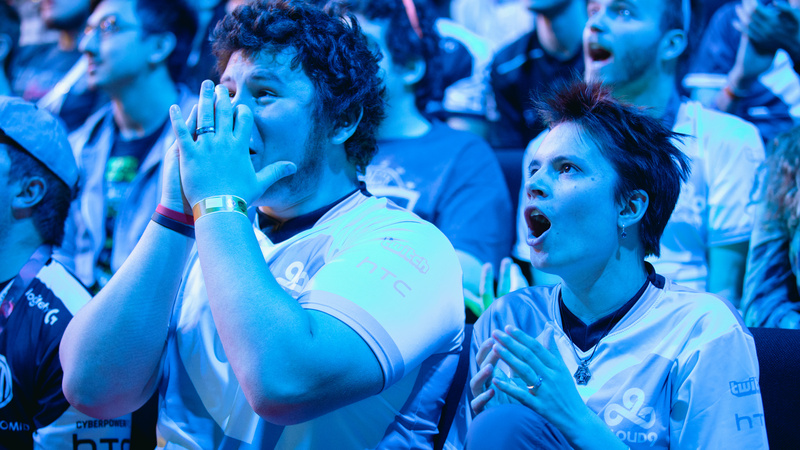 With the win, Cloud9 grabbed fifth place and will face Liquid in the quarterfinals. But they’ll need to play much better than they have recently to advance. Clutch will be matched against a rejuvenated TSM squad, but there’s hope. Despite the loss today, TSM are one of the only playoff teams Clutch have actually beat this year. Their two regular season wins against TSM may give them some confidence in the first round, which starts on March 24.